What is this, a Star Wars theme park for ants? The Star Wars movies are cool, and tie-in media like Star Wars comics are a cool way to expand on the universe of the movies. They’re really just glorified commercials, hoping to either convince consumers to go see the next Star Wars movie or—at the very least—to just funnel more money into the Star Wars machine, but we as a fandom ignore that because it’s fun to read Star Wars stories beyond what we get in the movies. Now, though, Disney is in danger of toppling that careful balance with Star Wars: Galaxy’s Edge, a new Marvel comic that’s not just about promoting the movies, but Walt Disney World and Disneyland’s upcoming Star Wars theme park as well. 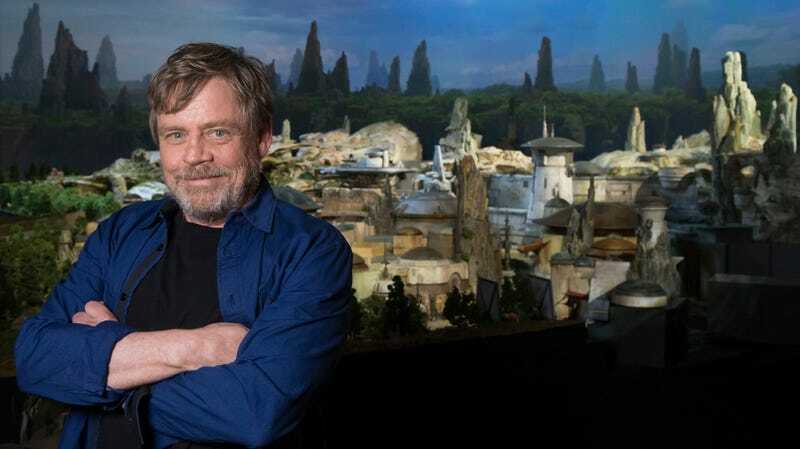 According to The Hollywood Reporter, the five-issue miniseries comes from writer Ethan Sacks and Will Sliney, and it will introduce “the mythology behind Black Spire Outpost, the location visitors to the Galaxy’s Edge parks will find themselves in.” Essentially, it’s an ad for a theme park that is also being presented as any other Star Wars comic, which seems a little gross even though those existing comics were already ads for movies. It just hits that “give us money” bell a little too hard, like if the Transformers movies had a scene where Shia LaBeouf literally went to the store so he could admire the fine selection of Transformers toys. It’s not really any worse than what’s already there, but it’s not any better. Galaxy’s Edge (the comic) will launch in April, months before Galaxy’s Edge (the theme park) opens in Florida and California. As THR points out, it’ll be coming alongside a big wave of other new comics from Marvel’s Star Wars line, not to mention the new TV shows and movies that are still on the horizon. Really, if that last movie weren’t so damn good, we’d be a little concerned about Disney running this thing into the ground as hard as possible. Well, even if Disney ruins Star Wars, at least we can count on the Marvel Cinematic Universe to stay good forever.